The causes of conjunctivitis vary depending on the type. This will be explained below. Contact dermatoconjunctivitis. This type of allergic conjunctivitis is generally caused by eye drops. In addition, the use of facial makeup and exposure to chemicals can cause this condition. Giant papillary conjunctivitis. The causes of giant papillary conjunctivitis are contact lenses, artificial eye parts or prostheses that are installed during eye surgery, and sutures used in eye surgery. It is estimated that around one percent of people who use hard contact lenses and three percent of soft contact lens users get giant papillary conjunctivitis. Chronic allergic conjunctivitis. People who have other allergies, such as asthma and allergic rhinitis, suffer from this type of conjunctivitis more often. Chronic allergic conjunctivitis is usually caused by dust mites, the release of dead animal skin, and pollen from trees, flowers or grass. Virus. 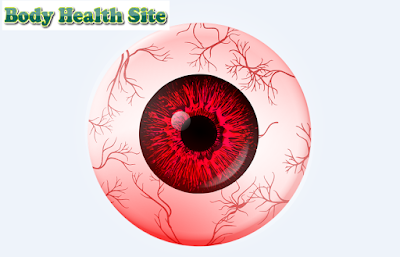 Adenovirus is one of the viruses that most often causes conjunctivitis. In addition, this virus can cause symptoms of fever and sore throat. Sexually transmitted diseases (eg gonorrhea or chlamydia). People with infective conjunctivitis can transmit eye infections to people close to them. The spread can occur through direct or indirect contact of the secretions of the infected eye. Therefore, it is advisable to always wash your hands thoroughly after touching the patient, and do not share towels or pillows with them. Suffering from diabetes or other diseases that make the immune system weak. Located in a crowded place (for example on a train or bus). Age. Children are very susceptible to this disease because they often interact with their friends at school. In addition, the elderly are also vulnerable because of the weakened immune system as they age. Suffering from blepharitis or inflammation of the side of the eyelid caused by bacteria. Has a history of respiratory infections. Taking drugs that weaken the immune system, such as corticosteroids or often called steroids. 0 Response to "Causes of conjunctivitis"